Know what you have and ensure the right sizes of the right resources to eliminate waste. Track assets, manage inventory, and pinpoint changes—complete governance in one unified solution. CloudCheckr provides critical CPU, network, memory, and usage statistics for EC2, RDS, ElastiCache, DynamoDB, Azure VMs and their associated services. Drill down into individual resources or view your entire deployment in one of our dashboard, summary, or Heat Map views. Identify rightsizing and rebalancing opportunities across all of your cloud services. Instant visibility and automation to keep your cloud resources optimized and provide the exact insight needed to manage any cloud deployment. Hundreds of best practices to identify idle and underutilized resources, unused reserved resources, EC2 Reserved Instance mismatches and more. CloudCheckr Spot Management, powered by Spotinst, enables organizations to leverage excess capacity for computing resources at a low cost. 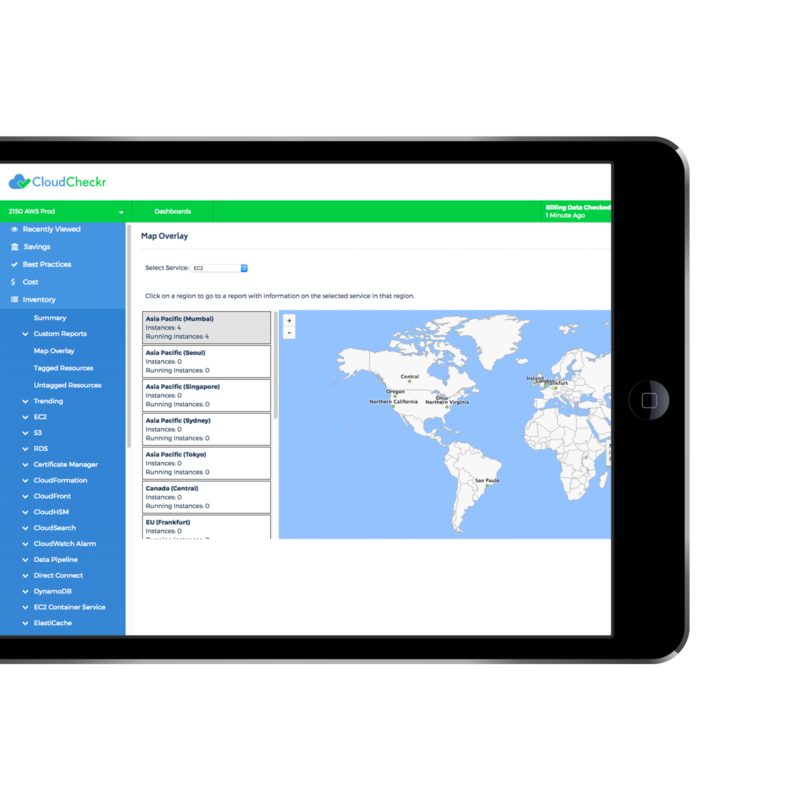 Organizations gain seamless visibility and control over Spot Instances, directly within the CloudCheckr platform, to save up to 80% in the Spot Market. 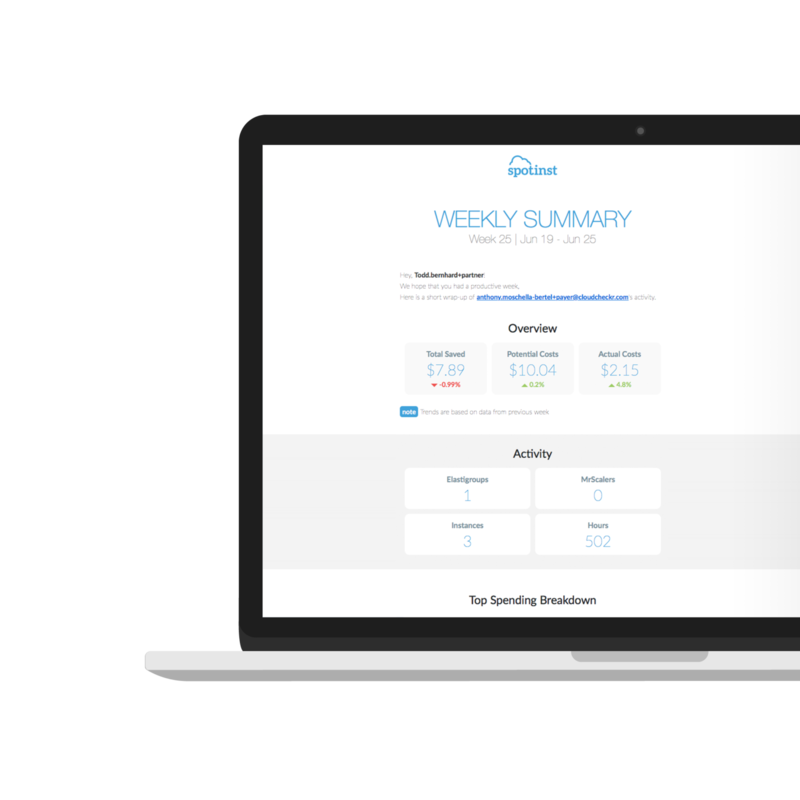 Download the CloudCheckr Spot Management datasheet. Choosing the right cloud services is a balance between performance, efficiency and cost savings. CloudCheckr helps turn complexity into clarity by proactively optimizing across clouds to rightsize your fleet and lower costs. Download the Reserved Instances whitepaper to learn more.